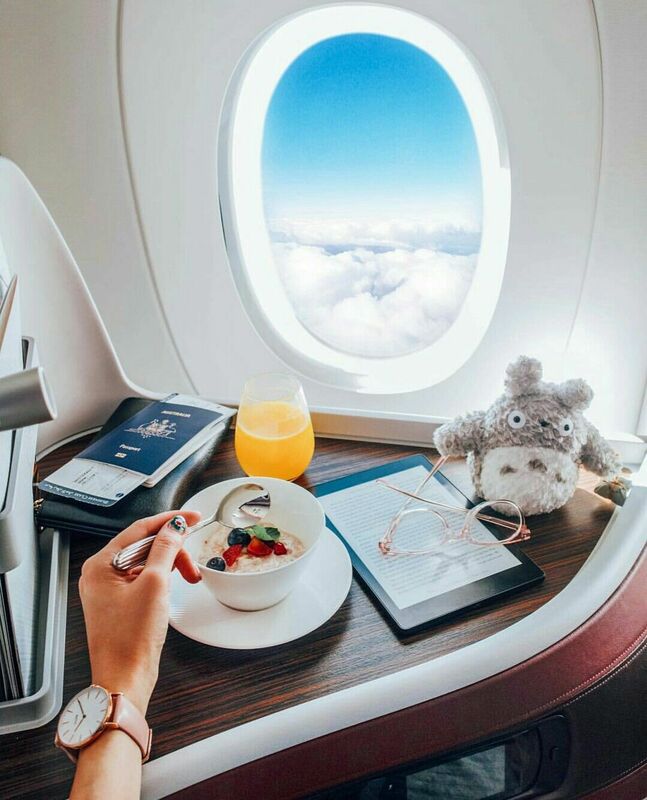 Are you a jetsetter? If you are, you must know that getting around the airport can be a pain at times, especially dealing with the stress of making sure to be on time for the flight, lining up at security checkpoints and dealing with unforeseen flight delays. The more time you spend at the airport stressing over your travels, the more likely you will need scout for food to curb your hunger. Whether you decide on crunching an apple or eating an orange or a banana while you patiently wait to board your flight, these healthy sweets are filled with dietary fibre and essential vitamins and minerals that can ease your worries. Look for fresh, whole fruits. Alternatively, a fruit cup with a variety of fresh fruits is also ideal. For some travellers, they want snacks that can tie them over to the next meal. One of my recommendations is cheese. Not only because it is a comfort food, it is also packed with essential nutrients such as protein, calcium, phosphorus and vitamin B12. Cheeses at the airport are typically sold in cubes along with crackers in a prepackaged container. To consider cheese as a healthy snack, look for low-fat cheeses, which have less than 21% milk fat (M.F.). Look for these features by reading the packaging and the ingredients’ list. If you are not a cheese lover, try hummus, which is often sold along with veggie sticks or crackers. Made from chickpeas along with garlic, tahini, oil and lemon juice, hummus has become a healthy alternative for spreads and dips in the homes of many families and a popular on the go snack for health conscious consumers. Packed with healthy fats, dietary fibre, and some protein and plant-based iron, this Middle Eastern food has a lot to offer. When you are in a hurry, you likely want to nibble something along the way. Instead of going for a bag of potato chips, opt for a pack of nuts, which is a good source of protein, healthy fats and dietary fibre. Look for unsalted (or lightly salted if unsalted is unavailable) varieties. Keep in mind that nuts are loaded with fat, which is more calorie dense than carbohydrates and protein. Regardless of the type of fat, fat is fat. If you eat too much, you will absorb excessive calories. To munch on nuts in moderation, go for the smaller packages. Available in most snack kiosks, yogurt has nutrients that benefits the bones and muscles: protein, calcium, potassium, phosphorus and magnesium. They also come in a wide range of varieties: from whole fat to low fat, from fruit flavoured to plain, from greek yogurt to kefir, and from dairy-free options such as soy yogurt to yogurts with probiotics. While yogurt is a healthy snack, many are sweetened with sugar. Therefore, reading the ingredients’ list to see if sugar is added is recommended. To get the most benefits from this calcium-rich snack, choose a full-fat yogurt that is unsweetened, which goes well with a fruit cup. A yogurt that is lightly sweetened with fruit juice would be the next best choice. For some air travellers, they are looking for convenience and real food on the go. Shelled hardboiled eggs are an item that has become a staple in many airport sandwich bars and kiosks. They are a nutrition powerhouse; both the egg white and yolk have protein, but the yolk also has vitamins A, D, E B12, folate, riboflavin and selenium. Contrary to the popular belief of eggs raise the cholesterol in blood, cholesterol in eggs have minimal effects on blood cholesterol. In fact, eggs have healthy fats that may help protect against heart disease. A latte, a can of soda or even an alcoholic drink can calm your nerves, especially if you are dealing with the stress of travelling. Getting the quick fix of empty calories, however, is unnecessary. The benefits of water are endless: it has zero calories and it is the best fluid to keep you staying hydrated; it helps with transporting water-soluble vitamins such as B vitamins and vitamin C to body cells; and it lubricates your joints. The next time you are contemplating on which beverage to purchase, get water. For those who have a sweet tooth and do not want to drink plain water, coconut water would be the best alternative. Like water, coconut water keeps you hydrated but with added benefits of some electrolytes such as potassium. It is an alternative to fruit juice, soda and other sweetened beverages because it has fewer calories and added sugar. If you are a health fanatic, go for the unsweetened flavour, which has the fewest calories. Check the ingredients’ list and read the nutrition label before you head to the checkout counter. As a general rule of thumb, pairing foods from two different foods groups would make your snack complete. As mentioned earlier, cheese, a milk and alternative, or hummus, a meat and alternative, can be paired with whole grain crackers, a grain product. Yogurt, a milk and alternative, can be paired with a fruit cup. Another option would be a fresh fruit with a stash bag of nuts, which is part of the meat and alternatives food group. The combinations are endless; be creative with your snacks! Travelling does not have to mean letting yourself relax by indulging in whatever food and drink that comes your way. Portion control is part of healthy snacking. While the mentioned snacks are my top picks, bare in mind that calories can add up quickly from snacking too much and lead to unwanted weight gain. Therefore, practicing mindful eating, whether you are at home or on your travels, is key to maintaining a healthy weight and a positive relationship with food. Before you pick up that bag of potato chips at the terminal, ask yourself: am I hungry, thirsty, or simply bored, tired or stressed and wanting to nibble? Mindful eating also involves eating slowly and savouring every bite; it takes the brain about twenty minutes to register the satiated message from the stomach.